Billow Marketing has been busy building websites the last few months. We have 3 that were launched recently that we’d like to share. We invite you to peruse each site and let us know what you think. It’s great that WordPress offers such great themes! The Tempera theme is the one we chose for the Shakespeare in the Grove website. It’s free and easily customized. Themes sometimes limit the number of fonts that can be used, the colors or the layout. Tempera gives tons of options in each area. This is the first time we’ve used Smart Donations. Our client is a 501 (c) (3) and uses Paypal so we wanted to find a way for them to accept donations easily online. Smart Donations fits the bill. 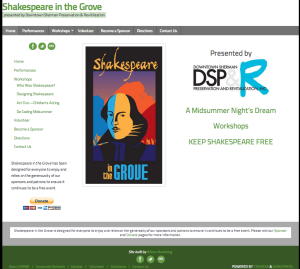 The Shakespeare in the Grove website looks amazing! You did such a great job! I know another organization or two looking for web help I will recommend Billow Marketing! Mila called Accurate Glass and Mirror to have her home’s front window repaired. She’d done business with them before and knew they would give her great customer service. Today a company’s website is like an ad in the Yellow Pages used to be. Mila looked at Robert Franklin’s website and knew it was not going to help him much. She proposed Billow build a new website for him that would impress anyone that looked at it, a site that would make the user want to call to learn more. Once the site was up, Robert told Mila he went to give an estimate to a potential commercial client and when he walked in, his new website was on a wall mounted screen. 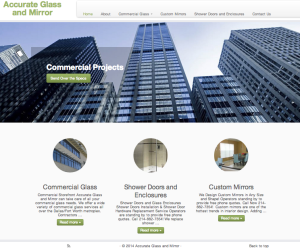 The potential client said he was very impressed with the website and gave Robert the project! 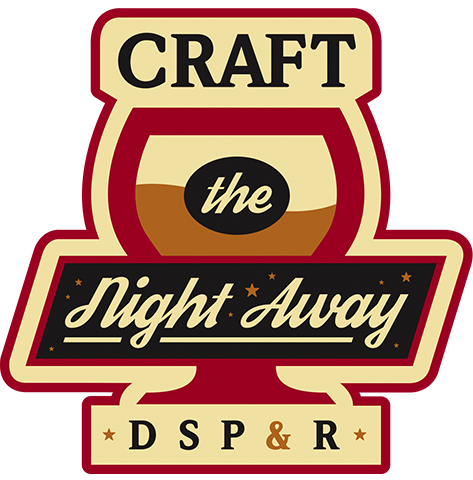 DSP&R put together a team of talent to help plan the Red River Mardi Gras & Jazz Festival in Sherman, TX. Dana was on the committee as the Marketing expert. 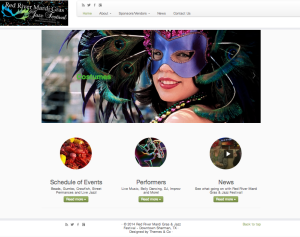 She built the website for Red River Mardi Gras & Jazz Festival as well as created the festival’s Facebook page, Google+ page and Twitter page. On the day of the festival, the website got over 3000 views!